Great Plains Theatre Conference will celebrate the life and work of one of the most formative influences on American playwriting by honoring the late Maria Irene Fornes. Fornes was born on May 14, 1930, in Havana, Cuba, to Carlos Luis and Carmen Hismenia Fornes. After her father died in 1945, she moved with her mother and sister to the United States, becoming a naturalized U.S. citizen in 1951. From 1954 to 1957, Fornes lived in Paris, studying to become a painter. However, after attending a French production of Samuel Beckett’s WAITING FOR GODOT, Fornes decided to devote her creative energies toward playwriting. Upon returning to the United States, she worked for three years as a textile designer in New York City. THE WIDOW, Fornes’ first professionally produced play, was staged in 1961. Fornes acted as the director for many of her subsequent works, including THERE! YOU DIED (1963; later re-titled TANGO PALACE, 1964), THE SUCCESSFUL LIFE OF 3: A SKIT IN VAUDEVILLE (1965), and MOLLY’S DREAM (1968), among others. In 1973 she founded the New York Theatre Strategy, which was devoted to the production of stylistically innovative theatrical works. Fornes has held teaching and advisory positions at several universities and theatrical festivals, such as the Theatre for the New City, the Padua Hills Festival, and the INTAR (International Arts Relations) program in New York City. She has received eight Obie awards — in such categories as distinguished playwriting and direction and best new play — for PROMENADE (1965), THE SUCCESSFUL LIFE OF 3, FEFU AND HER FRIENDS, THE DANUBE (1982), MUD, SARITA (1984), THE CONDUCT OF LIFE, and ABINGDON SQUARE (1987). 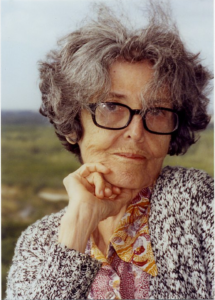 Fornes has also received numerous other awards and grants for her oeuvre, including Rockefeller Foundation Grants in 1971 and 1984, a Guggenheim Fellowship in 1972, National Endowments for the Arts grants in 1974, 1984, and 1985, an American Academy and Institute of Letters and Arts Award in Literature in 1986, and a Playwrights U.S.A. Award in 1986. She has also produced several original translations and adaptations of such plays as Federico Garcia Lorca’s BLOOD WEDDING (1980), Pedro Calderón de la Barca’s LIFE IS A DREAM (1981), Virgilio Piñera’s COLD AIR (1985), and Anton Chekhov’s UNCLE VANYA (1987).